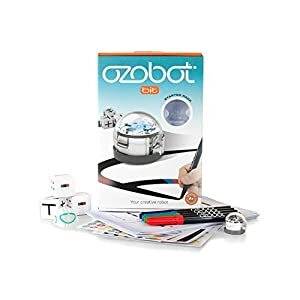 The Ozobot 2.0 Bit Starter Pack blends coding and creativity in endless fun experiences. 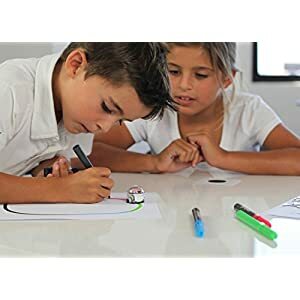 Bit uses optical sensors to read lines and OzoCodes-short color code sequences-that you draw with markers and paper. 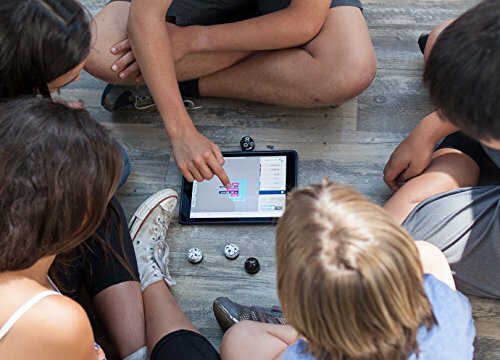 Use OzoCodes to command the bot to speed up, slow down, spin and more to complete mazes and challenges. The Starter Pack includes all of the necessary tools to ignite imaginations in ages 6 and up. 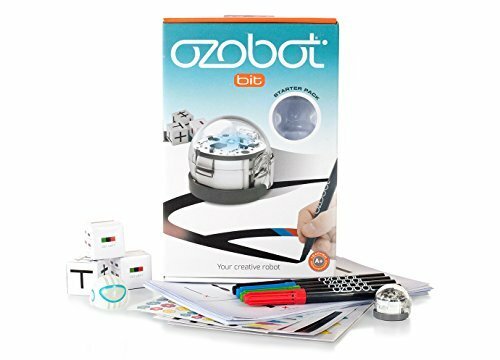 Whatever your child can dream up, Ozobot Bit can do! One of the world’s smallest smart robots, measuring in at just 1 cubic inch. Responds to color codes on both paper and digital screens. 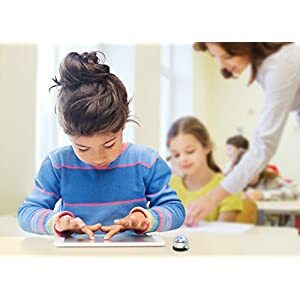 Includes 20+ games and brain teasers for a fun introduction to STEM, coding and computer science. Packed with DIY stickers and skins for creative customization.